Retail Economics conduct in-depth research on a range of retail related topics. Our thought leadership papers protide cutng edge insights on major factors infuencing the UK retail market. See below for our latest retail white papers. We work with a range of companies to produce co-branded thought leadership white papers allowing you to demonstrate expertise within the industry. A vast blanket of uncertainty engulfs the entire economic landscape at present. Attempting to accurately predict the immediate future for the retail industry appears to be a task beyond mortals. I feel that 2018 will be a memorable year. Pervading structural change continues to rattle traditional business models and will undoubtedly intensify as we move forward. A tough consumer environment will remain throughout the first half of 2018 as the debilitating squeeze on personal finances finally eases by Q4 2018. Nevertheless, confidence will remain a delicate issue with possible interest rate hikes, a tough labour market and political instability forming an unwelcoming backdrop. Retailers will also face a continued pincer movement of rising operating and sourcing costs with soft consumer demand. Many retail business models will come under increasing strain as the unforgiving shift towards online and the experience economy collide with inflexible leases, high rents and excess properties. Focussed work will continue behind the scenes to better understand the role of digital and social marketing in alignment with dazzling in-store experiences, while delivering a truly seamless omnichannel experience. There’s no question - boardrooms across the UK will have to discuss the ‘embrace, adapt and innovate’ philosophy in order to thrive, or indeed, just to survive. To download your copy of the Retail Economics/RBS Outlook for UK Retail 2018, please complete and submit the form on this page. Subscribe to Retail Economics to keep abreast of the latest developments and understand what this could mean for your business. Some of the early analysis of last weeks election suggests that it will now be more difficult for the government to drive through a hard Brexit. We disagree. In fact the opposite is the case a hard Brexit becomes more likely now. When the UK submitted its Article 50 letter it set in train a process to leave the EU which now has its own momentum. This means that unless the UK and EU explicitly agree otherwise at the end of the two-year process the UK will be out of the EU and will have a trading relationship based on so-called WTO rules. In trade terms this is what hard Brexit means. This outcome requires no further decision or action on the part of either party and is the default consequence of the UK's decision to leave. As Michel Barnier the EUs chief Brexit negotiator told the Commission "... in any event the UK would become a third country on 29 March 2019." So hard Brexit is the road that we are already on. Retailers need to offer a more multifunctional, "experience-based" environment in order to inspire, win and retain the loyalty of customers. UK retail is undergoing significant structural change. A behavioural revolution is taking place through a transformational shift in what people value most — experiences. Evolutionary processes have guided economic value from commodities, to goods, to services and in this new paradigm, experiences are taking prominence over products. 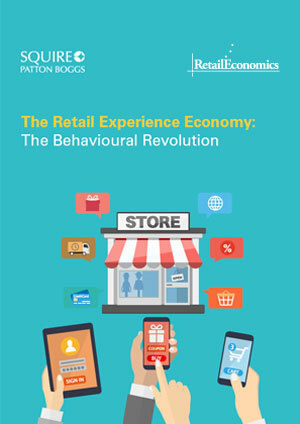 The genesis of an emerging era of retail is rearing its head – The Retail Experience Economy. Retailers must engineer seamless experiences that envelope the consumer in beautiful retail environments that entertain, provide escapism and relevant education. Research conducted by Retail Economics and Squire Patton Boggs found that almost a quarter of consumers said they would willingly pay more for the same product if it meant they would receive a meaningful experience when purchasing it. Furthermore, 43% of shoppers said that they are likely to spend more money in the future with a retailer who offered a meaningful shopping experience in-store. Retailers’ abilities to predict, analyse and adapt to forthcoming waves of these behavioural shifts will stand as the differentiating factor from their competitors. We have entered 2017 in extraordinarily uncertain times. The political and economic environment has changed markedly over the last 12 months. It is difficult to remember a more challenging time to take a view on how these events will play out for the retail industry. Despite the anxiety caused by the Brexit vote, consumer spending remained remarkably robust heading into the final quarter of 2016 and strong momentum delivered positive Christmas trading results for many retailers. Nevertheless, it strikes us that underlying conditions for households are more fragile than they appear. Disposable income growth is already slowing rapidly. As inflation surges towards our forecast of 3%, we expect real wages to start shrinking by the middle of 2017. What’s more, consumer spending has become increasingly debt-fuelled with unsecured lending rising at the fastest rate since the financial crisis. As the impact of weaker business investment leads to an increasingly fragile labour market, rising unemployment is expected to bear down on consumer confidence in the months ahead. Underlying the complex macro environment, retailers face a seismic shift in consumer behaviour with digital and online technologies forging an inevitable evolution in retailer business models. The speed at which retail spending has shifted online is putting strain on traditional business models — many of which are no longer fit for purpose. The winners will be those retailers who provide a seamless omnichannel proposition, who execute click-and-collect conveniently for their customers and embrace the continued shift towards online retailing. For others, 2017 is set to be a very challenging year. What does Brexit mean for the economy and the UK retail industry? The result of the EU Referendum is clear. The implications that this will have on consumer spending, households’ disposable incomes, savings, confidence and the wider retail industry are not. Uncertainty over speed, breadth and magnitude of these changes are likely to weigh on our economic prospects and those of UK households for some time. The focus on economic data and analysis has never been more important. In a period of heightened uncertainty, it will be critical for businesses to understand how the rapidly changing macroeconomic environment affects the retail industry as the repercussions of Brexit unfold. In the short-run, households’ disposable incomes are unlikely to change significantly. It will take time for the knock-on effects of the vote to work their way through to the real economy in terms of jobs, higher inflation and lower economic output. Nevertheless, we expect elevated levels of uncertainty to lead to a sharp fall in consumer confidence which will trigger higher levels of saving as consumers rein in their spending. It is argued that both the break with the EU and the uncertainty associated with it would be damaging for businesses and could undermine the UKs economic recovery. In reality should Britain leave the EU the severity of the impact would depend on the new relationship that emerges between the UK and the EU after a vote to leave. Put simply no member state has ever left the EU so there is no precedent set for guidance. If the UK votes to leave the EU it is also unknown what arrangements will be agreed to replace the EU membership however there are likely scenarios which may develop. Download our Brexit - A Retail Industry Perspective white paper to see the possible arrangements that may be negotiated and the possible macroeconomic effects and implications that Brexit could have for the retail industry. The last 12 months has seen the UK retail landscape in continuous flux with digital and online technologies forging an inevitable shift in retail business models adapting to today's consumers. Underlying these sectoral challenges lie a complex macroeconomic environment which underpins consumer sentiment and spending power. UK households haven't had it better in over a decade. The perfect storm of record low interest rates deflation across non-discretionary items rising real wages all-time highs in employment and robust consumer confidence saw a sharp recovery in households spending power. It resulted in the strongest growth in consumer spending since 2007 during the credit-fuelled boom. Download our latest report for an in-depth outlook of the UK retail industry in 2016. This is an exciting but challenging time for UK retail. The growth and adoption of digital and mobile technologies has caused a fundamental shift in the way consumers shop and interact with retailers of all sizes and types, in all locations. Transparency in price, service and quality has never been more ubiquitous. The customer journey has become infinitely more complex to measure, predict and understand, while shoppers’ expectations have never been more challenging to meet. 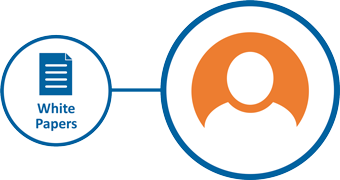 An informed and ever-connected consumer is empowered with multiple options for browsing, purchasing and product comparisons, while delivery and collection options are widening. Browsing on mobile in-store, buying online and picking up orders from a local collection hub is commonplace. Experiences, positive or negative, are shared with friends and online communities instantly. The power dynamic between buyers and sellers has altered dramatically with today’s consumers more empowered than ever before.